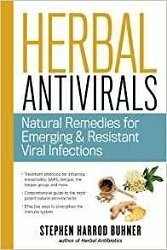 The following excerpts are from Stephen Harrod Buhner’s book Herbal Antivirals: Natural Remedies for Emerging & Resistant Viral Infections. If you would like to purchase a copy of this book, you can find it here at Beneficial Botanicals. Similarly to antibiotic-resistant bacteria, many of the viruses long thought conquered are making comebacks. They are doing this through genetic rearrangements, through learned resistance to antivirals, and, most of all, because of changes in the world in which all of us live. There are three different groups of influenza viruses, denoted A, B, and C. Influenza A is the most virulent. Influenza B is a relatively stable virus and mutates much more slowly than A. Most people develop, in childhood, at least some immunity to it; it is much less dangerous. Influenza C is fairly rare. It does infect people, sometimes severely, but it usually causes only a mild illness, generally in children. When people talk about an influenza pandemic, what they are talking about is influenza A in one of its many genetically altered forms. The most dangerous strains, currently, are H1N1, which caused the flu pandemic of 1918; H2N2, which caused the Asian flu pandemic in1957; H3N2, which caused the Hong Kong flu pandemic in 1968; and a relatively newer one, H5N1, known as avian or bird flu, which caused a pandemic in 2004. Then H1N1 came again. It was the source of the swine flu pandemic in 2009 and is a modified descendant of the 1918 H1N1 strain. The influenza virus alters it genetic structure rather significantly every year by passing through both pigs and birds. And on that trip it exchanges genetic material with other viruses and reworks its own. Then it spreads around the world again by plane and boat, rail and car, infecting millions, causing what we call the yearly flu season. But every so often it develops a much more virulent strain, sometimes through unique genetic rearrangements, sometimes through species jumps, sometimes through both. Unfortunately for us, bacteria and viruses have also learned how to use our own immune responses for their purposes. All viruses…have an affinity for a unique receptor on the surface of specific cells and in one way or another they get to that location and those particular cells. Once there, they attach to that part of the cells. In a sense they use that part of the host cells’ membrane as a docking port. As soon as it is attached to a cell, the virus begins to alter the permeability of the cell wall…it makes the cell surface more soft, causes the skeletal structure of the cell to bend apart, and tricks the cell into taking the virus inside it where it can’t be found by the immune system. It does this by using a particular kind of enzyme, neuraminidase… This is why neuraminidase inhibitors [plants listed below] are effective in the treatment of influenza; they inhibit the ability of the virus to enter host cells. This stops the infection. Neuraminidase inhibitors are effective against both influenza A and B strains. The virus stimulates the cell to create what is called a vacuole. Cells do this to sequester substances that can damage them. Microbes have learned to use such vacuoles for their own purposes, usually to protect the virus or bacteria from intracellular antimicrobial actions. The virus uses its hemaglutinin to bind itself to the inside of the vacuole membrane, where it opens a pore to the cell’s cytoplasm, i.e., its interior spaces. To do this the virus uses what is called the M2 ion channel – ion channels are tiny pores in cells that allow charged molecules to enter and exit cells, bringing food in and allowing waste out. Using an M2 inhibitor blocks this process and literally stops the virus from replicating. stronger than the pharmaceutical amantadine. There is much more to learn on this subject including the many plants that work against viruses. Stephen Buhner’s book covers eye opening information and an understanding that cuts to the chase.